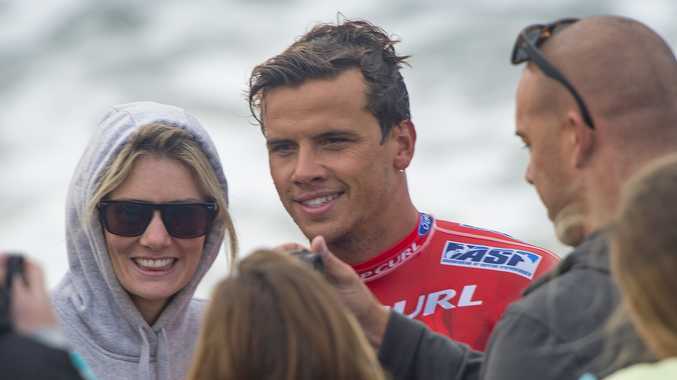 JULIAN Wilson's wretched run at Bells Beach has continued after the Coolum world No.5 was yesterday knocked out of the Rip Curl Pro. The Coolum surfer (pictured) was upset in the third round by tour rookie Nat Young 12.50 to 10.50 in ordinary conditions. In his three attempts at the World Championship Tour event, Wilson has not made it past the third round and has won just one heat, when he beat Kai Otton and Patrick Gudauskas in round 1 this year. This is despite conditions at the famed break suiting Wilson, who possesses a strong arsenal of turns and plenty of power. Wilson would have a right to feel hard done by after conditions fell away just as he and Young hit the water approaching high tide. 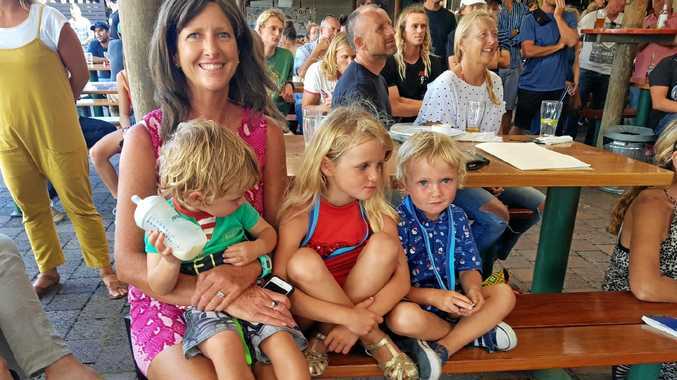 Conditions peaked yesterday and the Bells Bowl produced waves to 3m but dropped dramatically for the heat, the last of the day before competition was called off. Wilson and Young caught just five waves between them, compared with the 15 scoring waves in the previous heat between Otton and Jeremy Flores. Waves were so few and far between that Young did not register the first score until the 10-minute mark. "The waves weren't that good, it was really slow," Young said. "I got that one at the beginning, that put me in a good little rhythm and I got a back up. But there was nothing after that so I was lucky. "... I felt comfortable out there, the waves are really similar to home (Santa Cruz). I think that helps a lot."